Special Edition port of an alternate version of TDN's antlers tweaked and readjusted to look like the ones from The Elder Scrolls Online/Morrowind. All Credits go DRELDYN, as he is the original Author and I'am but a humble porter. As DRELDYN gave me his perimission, I shall bestow mine upon you just as well. Well, DRELDYN did contribute a thing or two. TheDNightshade created the original models and this whole thing a version of his idea. [enz] - I dont know who this is. Still, he is listed as creditor. So he'll be listed here. This is a port. There's nothing more to it. This is merely a port of DRELDYN's original work. Don't be shy and send some love his way! Porters Note: Instead of a video you'll have some words coming your way. The Horns do work perfectly nice with almost every helmet in the game and add some sort of "Antler Crown" on top. Looks great. The Scarslot occupied by these antlers doesnt contain a scar in itself. Sadly Iam way to incompetent to figure out how to make a version for each scar. 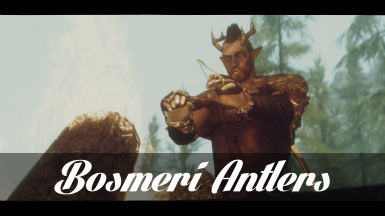 Stay tuned for more Bosmeri stuff in the near future! Porters Note: His words, not mine. 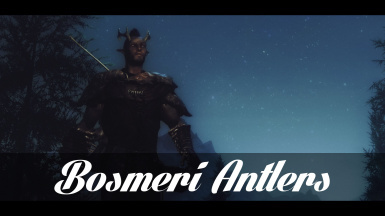 Bosmeri Antlers is merely the first stepping stone. Trust me. 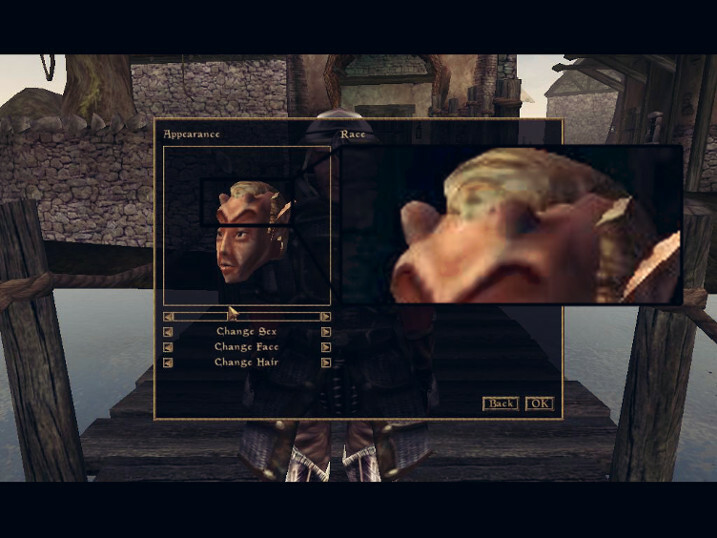 I was probably one of the very few to ever pick the Wood Elf with the 'nubs' on his forehead in Morrowind. You remember those don't you? Porters Note: No, not really. What happened to the horny Wood Elves I had come to love..? Porters Note: Ah, yeah. I knew that. 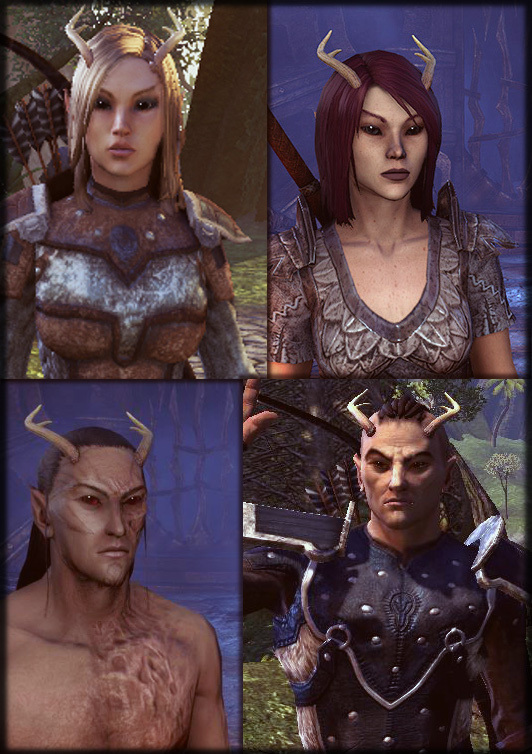 It took them twelve years but they were reintroduced in The Elder Scrolls Online. Only this time with a bit more elegance. 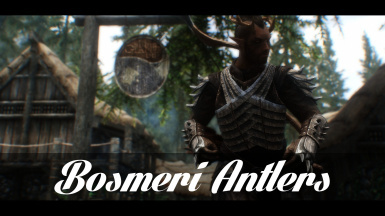 This mod is merely the antlers from TDN's Equippable Horns tweaked and readjusted to look more like those from The Elder Scrolls Online. Given their elven nature they needed to look a bit more...fluid. Instead of sticking out the top and growing forward, they now run along the top/side of his/her head backward like those from ESO. Many, many thanks to TheDNightshade for the original model(s) and idea (as well as the things I learned in the process). Feedback not only welcomed but really appreciated. 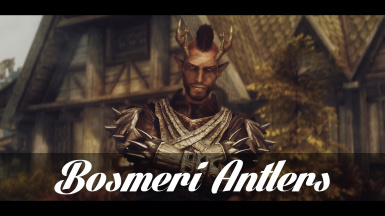 This is entirely a learning process and me just sharing things along the way and it could honestly evolve into more Bosmer related mods. Create a character and browse through the "scars" selections until you find it. I made it a "scar" so that it would allow for other hairstyles. Equip Version: Head over to a forge with a set of 'small antlers' to craft them. They are technically a circlet and use their slot (for now!). Porters note: I didn't port the equip version yet. If there's demand, hit me up. ﻿Porters note: Guess what this one has been up to... Its done. I've ported the circlet version as well. Porters note: Don't answer. Couldn't do anything regarding this anyway. I intend to further the Bosmer presence in Skyrim (refugees from the Great War perhaps?) and their lore in the game altogether. Porters Note: Take your time. No need to rush anything.